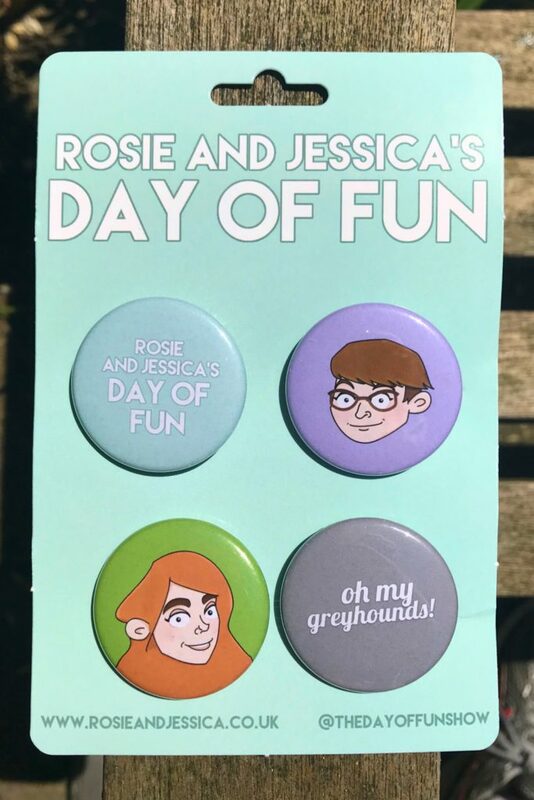 Rosie and Jessica’s Day of Fun badges are now available! A great way to show off your Day of Fun flair and support the show, this set of four badges feature the name of the show, our faces and – oh my greyhounds! – the closest thing we have to a catchphrase. Badges are 38mm or 1.5″ and ship worldwide! They help pay for our time and web hosting (as do our Patreon and t-shirt shop!) 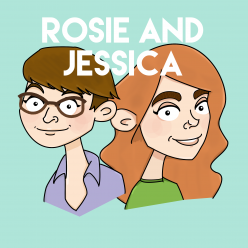 to keep making Rosie and Jessica’s Day of Fun. Plus they’re cute! You can order them via Paypal using the link below.